Thanks for all your research and valuable supporting materials. Thank you Jonathan for your research. It helped me to identify the bar set that I found at a tag sale recently. I now own a C111 bar and 2 C105 bar stools from the Grenada collection. Because I am newly interested in mid-century modern would you have an idea in the Tri-state area where I could get these pieces appraised reasonably? You could speak with Kent (see previous comment before yours) at Uniques and Antiques, I am sure he would be happy to look at what you've found. I just purchased a 71" tall wrought iron globe style wine rack possibly by Arthur Umanoff. After looking at a few different pictures it appears there were two different shaped rods that were used, a square rod and round rod. Also, it looks as if there were iron bars vs. rods for the cradling splay between the front and back of rack for the bottles to rest on. Was he responsible for both designs? Is one a knockoff? Thanks in advance for the information or where i may be able to go to find out more. I have my grandmother's patio set including table G-110 minus the glass and 4 chairs G-102 minus the seats. I plan to replace the tabletop with glass or plexiglass but am stumped with the seats. Would love to replicate the clam shell design. Do you have any ideas? Thank you for your help and with the wonderful info here! My husband and I found a set of four chairs, a pedestal table with triple beveled glass top at a yard sale in North Alabama. 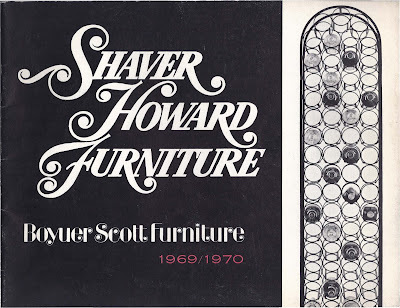 The seats had a label on them stating they were made by the Shaver-Howard company. Upon further investigation, we found that these is a rare Umanoff dining set. They are scalloped back steel chairs reminiscent of 1940's French garden furniture. We realized how rare this set is when we couldn't even find a web image of the table base!! They are in excellent shape. I had a few questions to ask you: The owner had put some cheap fabric on the seats but I was thinking about recovering them in something nice. Should I do this or leave them the way they are? What or where could we find the value of this find? What or where would we need to sell this item? Thanks in advance for any help. I would also love to send you a pic of this amazing find!! Not everything Shaver Howard is necessarily designed by Arthur Umanoff and the fact that a design is particularly obscure might just be because it was immensely unpopular in the 1st place… I personally know of no Umanoff designs which look anything like "French Garden furniture"
I found this page upon researching my family history after the death of my grandfather. 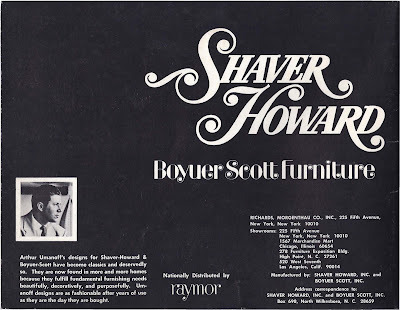 He was a former owner of Shaver-Howard and my grandmother actually still owns a large kitchen table 6 chairs 2 chandeliers, outdoor patio furniture all made by Shaver-Howard. This furniture has stood the test of time and how I wondered to get more information on this company? I was wondering if you found any information on your grandfather or Shaver-Howard. I am about to purchase the home that Bud Shaver built in North Wilkesboro NC in 1968 that showcases a lot of wrought iron work throughout the interior and exterior of the home. 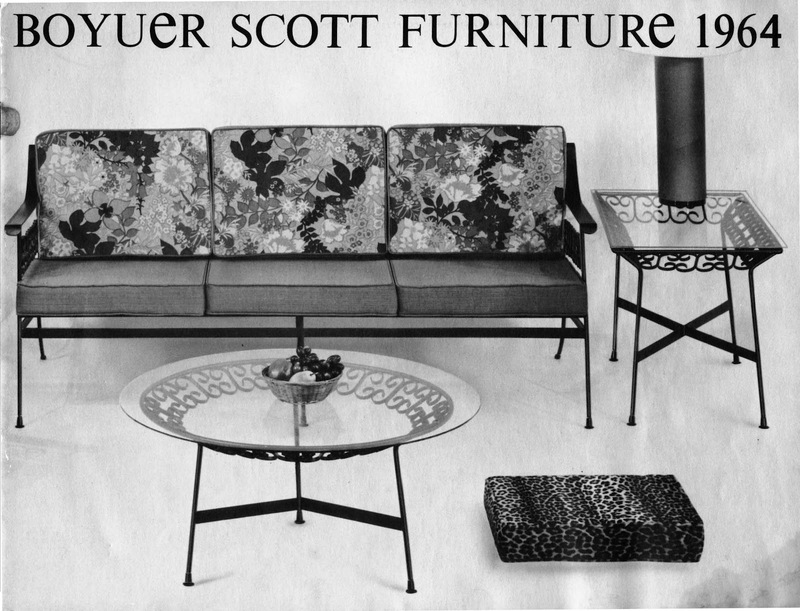 I'd like to gather any information you have and am also like looking for a piece or two of his furniture and perhaps a catalog as a conversation piece for the home. Hi there, I was doing some research about a pair of stools I just got and they are exactly the same ones as the G-117 stacking stools. Very cool. Any idea how much they are worth now? Thanks! They are worth as much as you can buy or sell them for. do you know of any umanoff collectors that might be interested in a very rare lamp? Hello! Love your informative site!! I purchased a couple wooden and vinyl high back waiting room style chairs at a flea market awhile back. I love them to pieces, but have been curious about them. They were manufactured by Madison Furniture Ind. & one chair has its original order stapled on the bottom. They appear to be in the style of Umanoff's designs. Any idea how I can tell if they are indeed? I have a dining set and hutches that my mom recently gave me. The table is constructed of glass and brushed stainless steel. It has 6 matching chairs with tall scalloped seat backs. The hutches are made of wood and steel with smoked glass doors at the bottom. Mom thinks she purchased them in the 70's. 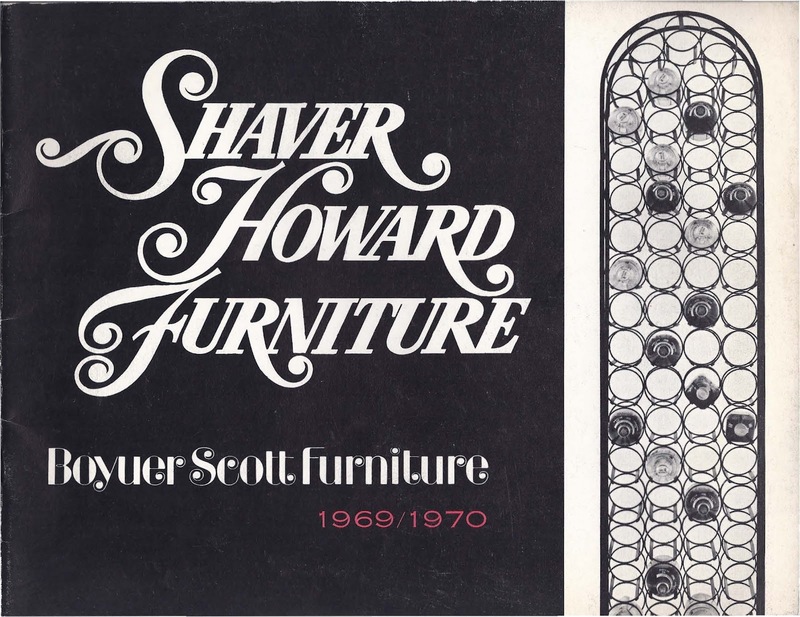 I am wondering if they are Umanoff/ Howard Shaver. I have pictures if anyone can help! Hello, I'm a Brazilian designer and I produce my own design projects. Recently I reproduced a vintage wine rack by Arthur Umanoff to give some colleagues who were married. However, the play was a success and now I have some people asking to buy it. I would like to know how to handle the naming rights and if it would be possible to market here in my city - Sorocaba, a small town in the countryside of São Paulo. I own a patio set which I would like to know is either Salterini or umanoff. It's the ribbon design featuring backwards C's. The same set as in Mad Men. An episode showed this patio set up close when Don was cleaned out. This table and mine both have the center ring, below the glass,done in the ribbon design. This seems to be missing in the Umanoff pictures. In your opinion, what set does it appear I own. I have always loved vintage furniture, and fell in love with a dining set at a local shop. It came with 6 chairs. Less than a month later, at an estate sale, I found a matching patio set that I paid $20 for. I’m anxiously waiting to be approved in the FB Group- but the potion set set is identical to the picture above in catalog, with original fabric still in tact! The dining set covered with white vinyl that I suspect is original as well.